Over the last month or so, there have been several discussions on the proposed Mamamah airport project, which has been brought to the public’s attention. 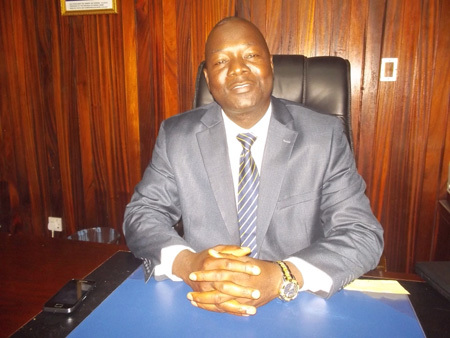 (Photo: Lungi airport president Koroma no longer wants). 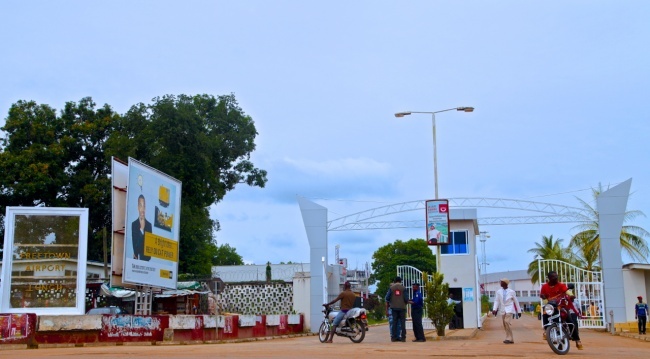 The Mamamah airport project is one that the government of Sierra Leone has been doggedly seeking finance to embark on, well before August 2013. And it is important at this time, to examine and explore the reasons why embarking on this debt laden airport venture will be most detrimental for Sierra Leoneans. CAPA the centre for aviation tells us that China had agreed to partially finance the venture through a loan from Exim bank, as far back as in October 2011. The other contributor to the project at that time was said to be the government of Sierra Leone, according to a 2011-2015 government budget annex. In September 2013, the deputy minister for finance and economic development said that the country had secured a loan for $315 million from the Chinese government to pursue the project. Unfortunately, later on in the year the Ebola virus disease broke out in West Africa. 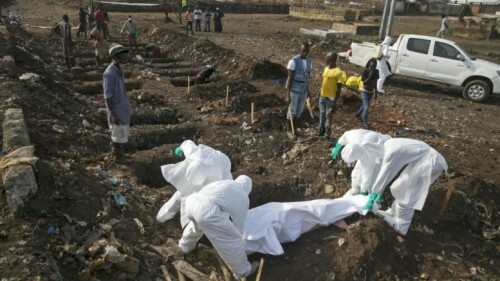 And Sierra Leone being one of the hardest hit countries, the discussions were temporarily shelved – in public at least. Now that Sierra Leone has been declared Ebola free, the discussions about the new airport have re-surfaced with ferocious intensity. In the past two weeks, details of discussions between the World Bank, President Koroma and the country’s finance minister – Marah (Photo), have been made public. These discussions underline the strong reservations that the World Bank have, regarding the appropriateness of the airport project. SwitSalone reports that Henry Kerali – World Bank country director, has said that the timing for the construction of the proposed new airport at Mamamah is far from being on cue. The position of the World Bank is that the government should focus on those priority areas which are important for post Ebola recovery. 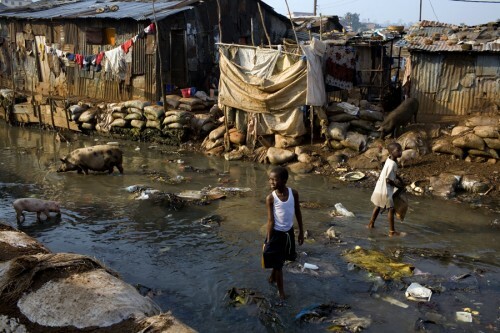 Photo: A boy walks through the river in Kroo Bay slum looking for scrap metal to sell. The river is effectively a giant sewage and everyday new garbage arrives in the water from the hills. Sierra Leone remains one of the poorest countries in the world, and does not have the human capital or the need to pursue a new, luxurious airport project at this time. Simply put, borrowing money will galvanise Sierra Leone even further into debt and poverty. Repayment of the loan would be an astronomical burden for the country for many, many years to come. Sierra Leone ranks 180th out of 187 countries in the human development index. An airport project is not likely to impact this in any significant way. The population is 6.316 million, and GDP is $4.892 billion (2014); life expectancy at birth is 46; 70% of Sierra Leoneans live below the poverty line. According to UNICEF, Sierra Leone has the highest rate of mortality among children under 5 in the world. Only 41% of adults in Sierra Leone are literate. In 2008, Sierra Leone ranked 84 out of 88 countries in the Global Hunger Index. Simply put, it means that Sierra Leoneans do not have enough food to eat. An airport project will not produce food for the people of Sierra Leone to eat. The recent Ebola virus disease outbreak that has devastated the Mano river countries, exposed the stark non-existent nature of healthcare availability in Sierra Leone. In conclusion, we hope that the Koroma government would be able to consider that the best legacy to leave behind after 2018, is to increase and maintain investment in the people of Sierra Leone, rather than taking huge loans to construct a white elephant project that will not increase the prosperity of the people of Sierra Leone. These are salient points for consideration. I rather suggest having a national railway to help transport food and passengers across the country. Secondly, hire contractors to clean the streets, slum areas like Kroo bay. Some of us are professionals maintaining trains in the USA. As patriotic citizens of Sierra Leone, I will be willing to join forces with other professionals to help build Mama Salone. Bless. I personally welcome any sort of development which I think is very important in their different ways! It is always prudent to take a multi-dimensional view of an issue before making a categorical decision. Even then, one must make room for the uncertainties of the future, which may well solicit alterations or amendments. So far, none of the comments have mentioned the use of cost-benefit analysis so as to enable all Sierra Leoneans to understand the issues regarding the proposed airport unambiguously. This should be the task of the government and its economists. Sadly, President Koroma has lost his powers of speech on issues of national concern. His so-called Minister of Information and Communication shoots off at tangents whenever he opens his mouth. The good-for-nothing opposition, S.L.P.P. does nothing to help the nation – they are always dozing off at the controls. I end by saying that most of the loan agreements which Siaka Stevens forced his ministers to sign on behalf of the nation were for his personal use as the treasury was his personal bank. Dr M.S. Fornah recognised this monstrous tendency and opposed it. And so he was marked for elimination. Kroo Bay? Well it has always been like that under successive governments – let us be fair. Let us give Charles Margai a chance. He is fearless and takes no prisoners. Yes indeed another airport will not be beneficial for the people of our dear country. It is about time we rise from the decadence of poverty and irresponsible governments to well structured and meaningful government that will work in the interest of our country. APC is a party that is always bent on thieving before they leave office. Pa sheki the architect of corruption did it when he was hell bent on hosting the OAU even though the country was not economically right for that. He was advised and talked through about how irresponsible that could be. What was the result? well most of us old enough to remember know exactly what happened. In my opinion the current Lungi International Airport is not up to scratch; however the government could spend less in infrastrural developments in and around Lungi. The roads linking Lungi and Freetown and Port Loko need proper attention, especially if we want to entice foreign investors. The picture of Kroo Bay is appalling for humans to reside. I believe the government should invest in housing and agriculture if we are talking about sustainable growth. So I have huge admiration for the writer of this piece, for highlighting most of our problems. So lets get the right people in government and change the fortunes of our country for ever. One of the major reasons for the problem that arose between Siaka Stevens and his Finance Minister Mohamed Sorie Fornah, was that Siaka Stevens asked him to sign for a loan on behalf of Sierra Leone; meaning the loan will become payable by the state. After a very close study of that request, Mohamed Sorie Forna refused, because he could not see the justification for putting the nation into such a financial mess. Siaka Stevens was not pleased with the refusal of his Finance Minister because he calculated that the repayment time will not even be in their life time. Thereafter, Siaka Stevens set upon Mohamed Sorie Fornah until his assassination through a fake coup plot. Sierra Leone already has an International Airport at Lungi and I don’t personally see the justification for establishing another airport, especially when we are desperately in need of money for the nation’s health and safety. Why can’t Ernest Bai Koroma think of health and medication projects for our country, instead of focusing on making Makeni a first world, when in fact it is still in a developing country. When a black-man is dressed up in a Prince Charles suit he bought from Marks and Spencer at the High Street in London and Ebola destroys his family in Tonkolili District in the Northern Province, I think he needs to think twice how he spends his money. Putting it straight, we want enough food and medication for us to live well in Sierra Leone and not another airport. Ernest Bai Koroma must remember that it was the poor people that voted for him. So he must start to think about us now. LONTA !!!!!!!!!!!!!! I think, the situation in Sierra Leone today is the same as when Momoh was president, when people didn’t care to sell Sierra Leone Passport to foreigners. The country is just recovering from EBOLA and there is need to help these people cope up with their lives and be able to have something for their mouths and not the airport now. That can still wait. Do you think Chinese people will be willing to develop Sierra Leone and not China? All the international investors are just like the chinese. First home, then other places. Why can’t Sierra Leone Authorities learn this? A small country which is not so difficult to develop is embarking on World Project. I hope the Authorities in Sierra Leone will work to ending borrowing and wasting money like water. Has the Russians finished building the railway line? If the answer is no, then what do you think China will do in the near future when there is no more mineral resources? This is a quick correction. Sierra Leone passports were not sold while J. S. Momoh was president as you stated in your article. Sierra Leone passports were sold by NPRC, and it is well documented. I think yes we need infrastructures and agriculture. But there is one thing we should know. Sierra Leone needs people at this point in time. and I mean foreign investors to create jobs for people. To attract foreign investors we must have a good airport where planes from all over the world will be landing. Sierra Leone does not have the financial power to build public housing or invest in agriculture. So we need to exploit what we have so as to attract the world. Sierra Leone is a beautiful country and one of our potential is tourism, so I think president Koroma is doing the right thing, because without a road a village will never become a city. Think about it, through the new airport we will have access to many things. The problem for people in poor countries like Sierra Leone that are governed by idiots and crooks is that no one asks those leaders to publish a business case justifying the need to borrow and spend. Lenders are not interested in what the money will be spent on. As long as you can sign on the dotted line on behalf of the nation it does not even matter whether the government can afford to repay the loan as scheduled. What matters most to these foreign government guaranteed loans to Sierra Leone is the political access and patronage they get in return. But most importantly the access they get to Sierra Leone’s natural resources and the preferential treatment they get when it comes to awarding procurement contracts. The chinese are not stupid. By lending Sierra Leone $400 million to build a second international airport they more than treble the financial benefits they get in return. Their construction companies gets the design build and facility management contracts. Exim bank gets a massive 40% annual interest on the loan over God knows how long. By managing the airport themselves the chinese will benefit massively from using the airport to airfreight out to china all their legal and illegal cargo without paying the required duty and taxes and with no checks by the Sierra Leone authorities. This mamamah project is a massive windfall for china that will certainly not benefit the people of Sierra Leone. More importantly the country cannot afford to spend $400 million on a second airport when people are going hungry. Healthcare, education, water, electricity, housing, and sanitation are priorities the government should borrow and spend money on.